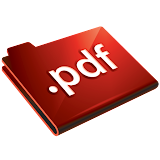 In this post I am going to tell you how you can see any PDF file without downloading it or using any software. While suffering on internet whenever I get an PDF file to see I need to download it to see that file and also needed to use a software to view that file (like: Adobe Reader or such). Just put the following link before your PDF file link. To Copy-paste just select the thing you want to copy and paste it where ever you want. To save it in image format Right-click on the page you want to save and select Save Image As from the drop-down. There at the top you will see option to Download, Right-click on it and select Save Link As from the drop-down. At the top beside Download option you will see an option to Print, simply Click on it to Print.